Frozen product. Defrost for 12 hours keep refrigerated for up to 10 days. 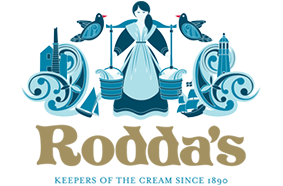 Cornish clotted cream is made by the traditional method of separating cream from milk and then gently baking it. 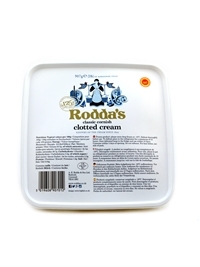 The crowning glory of Rodda’s has always been its delicious golden crust, which is especially rich and delicate because of the quality of our milk and the way we bake it. The crust is a sign of quality and rather like gold-top milk, where all the tastiest bits rise to the surface. 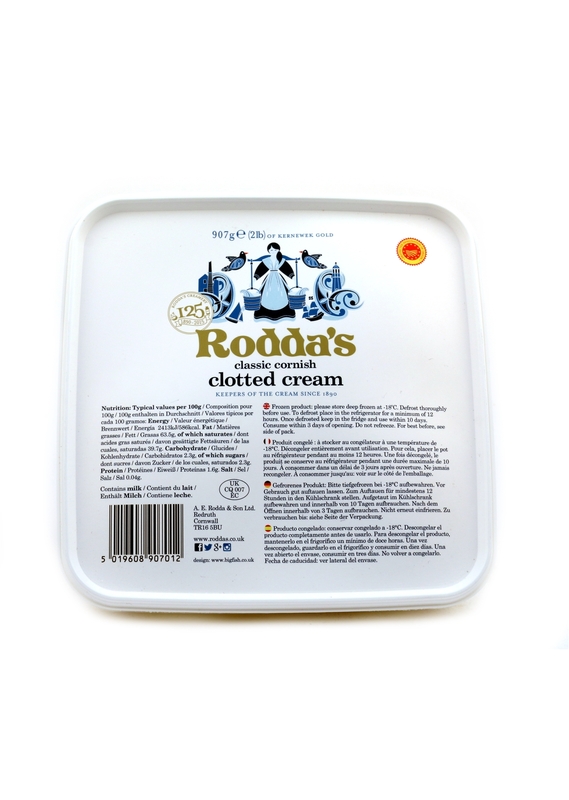 It’s a protective seal of freshness for the delicious, silky cream below and it’s how you know you’ve got the real deal. Nutrition: Per 100g. Energy 2413kj/586kcal. Fat 63.5g (saturated 39.7g). Carbohydrates 2.3g (sugars 2.3g). Protein 1.6g. Salt 0.04g.